I plan, I plot and lose the plot to rather assertive characters. At first, they remain quiet when I map out their lives on a large sheet of paper. As time passes, the characters remove the post-it notes, screw them up and knock on my door. I do argue with my mischievous characters quite a lot. I only listen to them if they speak nicely and explain why they won’t behave. Do you have a writing ritual? Meditation, certain cup for your tea, writing trousers? Where do I buy writing trousers? I read about some power trouser designed to help the elderly to walk (not joking) – my gran would have loved these. Come to think of it, I have bought lots of jogging trousers since I started this writing malarkey, but I don’t think they I powered with words. I start the day with posts on social media then switch off the Facebook and Twitter to begin writing. I switch on social media for a couple of minutes at a time as a reward. Eleven O’clock signals time for tea followed by some stretching exercises. My aim is to write throughout the day. Blog posts and website updates are completed in the evening. Aside from writing, what makes you tick? Tell us 5 things about yourself we probably don’t know. Embarking on my writing and blogging journey was not something I planned to do. My husband published my manuscript on Amazon to force me into action. I am glad he did this, as it has opened a fabulous new world for me. I am an accidental blogger and author. My late father worked for Leeds United. Don’t get excited, he wasn’t Billy Bremner. Many decades ago, Dad manufactured one of the stands at the ground and (pardon the pun) part of it is still standing. Billy Bremner: not Jessie’s dad. Can you spot her novel? Finally, I confess that I do not possess many handbags. I clear out my wardrobes, in the name of thinking time, when I need to avoid a task. If you were stranded on a desert island with shelter, food and water, what 5 items would you want with you? Ready for the desert island adventure. I’m Jessie, get me out of here! I assume I am glamping on this desert island. Can I stay in a house like the one on the beach in Death in Paradise? OK. I’m settled and have removed my shoes. I have my holiday handbag bursting to the seams with some smuggled items. My husband has just asked he if is allowed on the island too. Firstly, I’d cram my manuscript, which I haven’t written yet, in my handbag. This would force me to get on with the dreaded editing. I would read the entire thing aloud to exercise my voice. I would take an old-fashioned camera with lots of film because I fear there is no electricity. I’d need the photos for my tweets and memoirs. I would like to take my tiny radio, if I could get a reception, because the batteries last for years. I love radio 2 and Radio 4. Alternatively, I would take my guitar, bought when in primary school, and work through the beginner’s guide. I almost forgot the essentials. Paper! I’d need reams and reams of paper. I would need to learn the art of tiny writing like the Brontës so I could fill every scrap of paper. On a desert island, I may as well make the most of opportunities. I would take snorkelling gear to I could enjoy the underwater world. Would I need a shark alarm? I would have to smuggle an album of photos to remind me of people, favourite places and seasons. I’d miss the beauty of the seasons on a desert island. 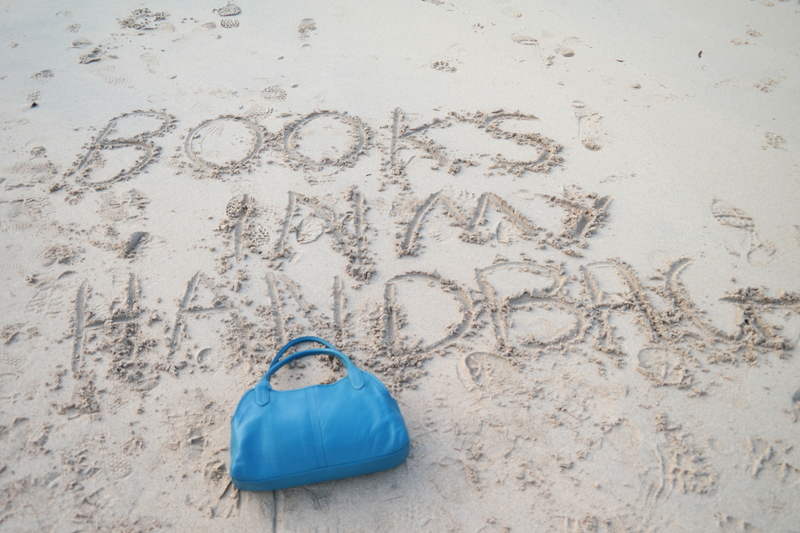 On said island, what 5 books would you take and why? I feel I should say the Complete Works of Shakespeare but what about Shakespeare’s sisters? I love the Norton Anthology of Literature by Women because there is such a range of texts I could enjoy. An anthology of poetry would also be useful. A collection of classic novels would place me in good company. I would also take The Light We Cannot See by Anthony Doer. I haven’t read the book, but the title intrigues me. In addition to novels, I would take books about art history. I am interested in art but would love to study the history in more detail. I need to have visual material to make me reflect as well as words. Stranded like a fool, I have my holiday handbag bursting to the seams with some smuggled items. Having read Judith Barrow’s ‘A Hundred Tiny Threads’, I researched the suffrage movement in Leeds. I discovered a woman called Leonora Cohen involved in the campaign, and I’d like to speak to her. I’d invite Leonora to dinner to get an insight into what happened in Leeds. I am also interested in how working class women got involved in the campaign. Perhaps I could also invite my great grandmother to see how she would have viewed the whole situation. I never stop blogging about my world and am always writing something. At the moment, I am writing some flash fiction. I plan to write another book in the Sunflower Series. 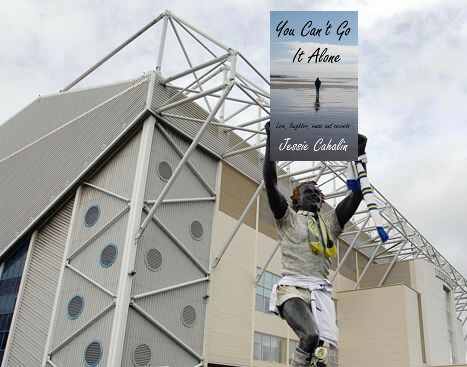 Judith Barrow has suggested I write the prequel to You Can’t Go It Alone. I will need to research into Cardiff back in the forties. Some plot ideas have been surfacing, but I haven’t written anything down yet. 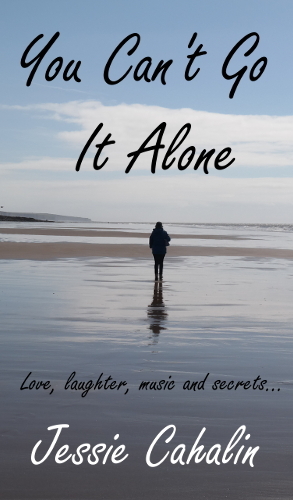 I’m the proud author of ‘You Can’t Go It Alone’ and creator of Books in my Handbag Blog. 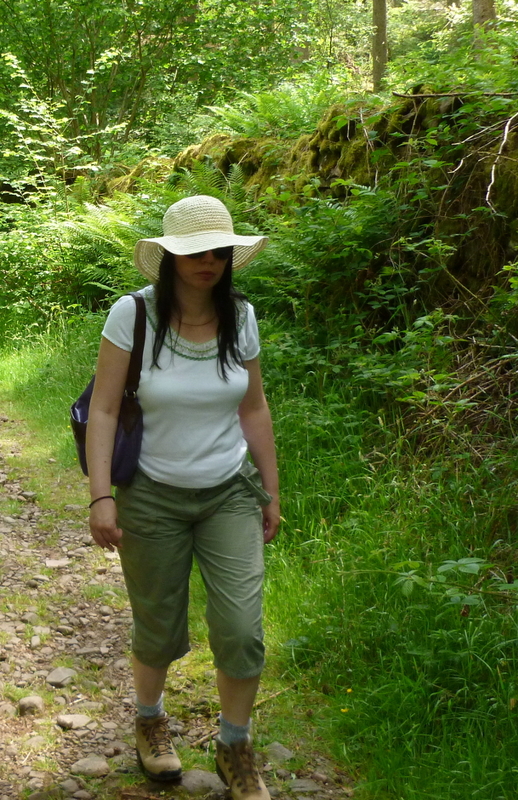 I’m thrilled to be visiting another blog made in Wales. Thanks so much for joining me Jessie! Lovely to find out more about you and your writing. Follow my blog for more interviews, writerly stuff, dance, tried and tested plant based recipes and magic. Wendy, thanks so much for featuring me here on your brilliant blog. I had a great time responding to your questions. You have magical way of making me confess things I’d forgotten. My pleasure Jessie! Looking forward to seeing you soon. Wendy Steele inspired me to confess 5 things about myself. She even convinced me to go to a desert island. Find out how I coped… Did I say ‘get me out of here, I’m the handbag lady’? Fun post! I’m all for glamping! So wonderful to peep into Jessie’s mind. She’s chosen my favourite book by Doerr too and I guarantee she won’t be disappointed. Each page throws up writing gems. It took ten years to write but I hope Jessie won’t be on her island for that long… we need her near us. I am sure it is unusual to be allergic to cream but not other diary products. An interesting author interview.